...my true love sent to me…twelve months of enquiries. “The LHSA inbox never sleeps!” With so many ways in which to get in contact, LHSA receives enquiries from all corners of the globe at all times of day and night. By far the majority are received by email, or through our website, but we still receive letters and phone calls, and even one fax this year! We’re also seeing increasing numbers arriving via our social media forums (see the Fourth Day of Christmas), and our enquiries figures are up by 27% on 2011. One in seven of our enquirers make the trip to the Centre for Research Collections reading room to look at the original records. We receive requests for information from the NHS, the media, academics and students, other archives and libraries, and private individuals looking into local and family history and the history of medicine (from very specific biographical and institutional facts, to clinical research covering vast numbers of records over a long time span). We also provide reproductions from our 40,000-strong image collection and advice to other conservators and archivists, and contribute to archival awareness campaigns. The Royal Edinburgh Hospital has been the most heavily used collection for the past few years – will it be again in 2013? Watch this space! Our enquiries service is available to all, and we’ll be back to answer more queries in the New Year, but in the meantime our inbox is waiting! We wish all enquirers (and everyone else!) a joyful festive season, and a happy 2013. ...my true love sent to me…eleven volunteers. Over the last 12 months our volunteer programme has gone from strength to strength, and eleven people have benefited from the training and experience they have gained whilst working with LHSA staff and collections. We’ve offered a range of volunteer placements from one-day taster sessions for those who are interested in the archive sector but have yet to decide whether it is the career from them, through to those who have volunteered with us for the whole year and are building up a body of experience to then go on to train professionally. Our volunteers come to us with different levels of experience and we cater the work to make sure we offer them the best placement possible, and to ensure we get the best use out of their freely-given time! Our volunteers have been students, members of the public and Edinburgh University or NHS Lothian staff. 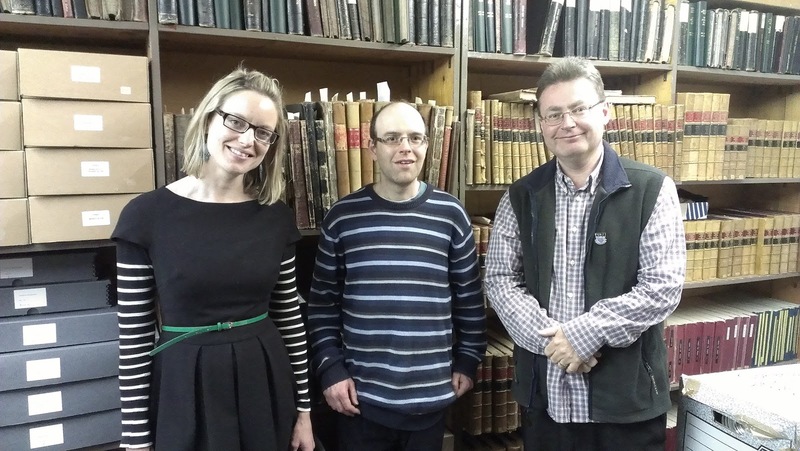 They have come to us as they see the opportunity to volunteer with LHSA as a means of getting a place on a postgraduate archive studies programme, making a career change or establishing their career path in the archive sector. This year we’ve been very pleased to work with Real Jobs and NHS Lothian to offer placements for users of the mental health service wishing to get back into work. We are able to offer volunteers placements to develop archive or conservation skills depending on the individual's particular interests. In the case of the latter our volunteers this year have treated a significant number of architectural plans that would otherwise be too fragile to use, and helped re-house new accessions before they are transferred to the store. We will continue our volunteer programme throughout 2013, with the addition of two internships with a small stipend attached. 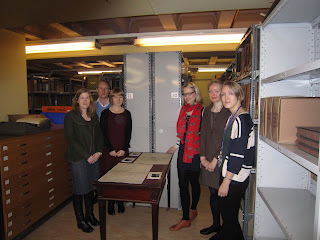 We will be offering one archive internship and one conservation internship, full-time for 10 weeks. We’re excited about the new possibilities this will open up to the individuals who secure the internships as well as the work they will undertake to preserve the collections and enhance accessibility. 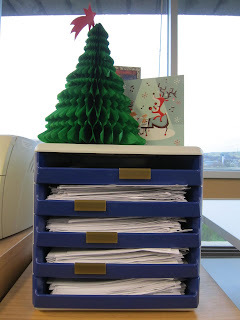 Our volunteers often post to the LHSA blog, so regular progress reports will be available throughout 2013! ...my true gave to me...the piper at Craig House. I know there is only one piper, and not ten, in this image but it fits in with the song! The caption for this picture from 1951 reads, "Well Known Character at Craig House”. It is not clear what he was piping in celebration of but it was on a lovely sunny spring day. 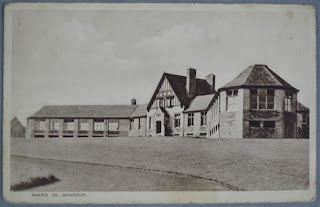 In April, LHSA staff were privileged to be given a tour of the Craig House campus by a member of Napier University Press Office staff, and took a selection of current photographs of the estate before new developments take place. 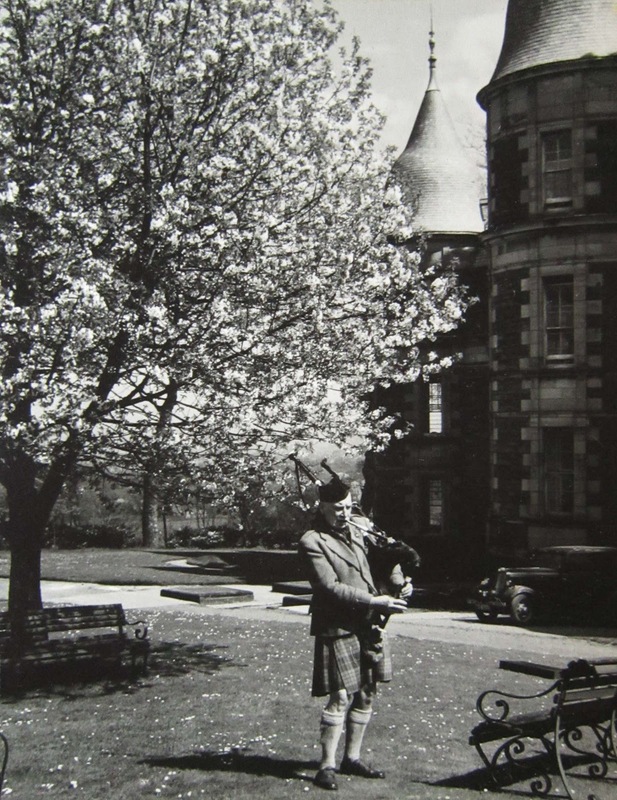 Craig House was opened in 1894 for paying private patients, as part of the Royal Edinburgh Hospital and in the style of a large country house. This was a very interesting visit, as some of the most popular records in our collection are from this Hospital and it was exciting to see where many of these records were produced, and also to see that so many of the interiors and fittings in the buildings have changed little from their original use. ...my true love gave to me...nine types of diagnosis entered into a Royal Edinburgh Hospital database. A very useful piece of work started this year: the creation of a database of patients and basic information relating to them found in the nineteenth-century casebooks of the Royal Edinburgh Hospital (REH). This is an invaluable resource for LHSA as it can be used to quickly find if a patient was in the Hospital, making the casebooks easily accessible and reducing handling of this unique material. There are now 1977 entries in the database! During the nineteenth century psychiatry was not a very precise science and this is highlighted by no fewer than nine types of diagnosis recorded in the REH database already: Mania, Mania (Chronic), Mania (of masturbation), Mania (Phthisical, i.e. related to Tuberculosis), Acute Mania, Epileptic Mania, General Paralysis, Melancholia and Melancholia (traumatic). The REH database is part of a wide range of cataloguing work that has been carried out throughout 2012 to help open up the collections for research. We have catalogued new accessions, personal papers, photographs and material relating to NHS Lothian Board, but there has also been a focus of activity on the REH in light of its bicentenary next year...we've completed the listing of all REH casebook enclosures too. These enclosures consist of patient letters, charts and other information regarding patients put inside the casebooks by medical staff. The patient letters, in particular, provide a rare window into their thoughts and feelings. Since the enclosures are often loose they have been stored separately for safe-keeping, and now that they are listed as well we can be confident that all the information is preserved for future generations. ...my true love sent to me…eight(y) metres of accessions. Not the traditional gift from a loved one at Christmas, but for an archivist, a welcome one! 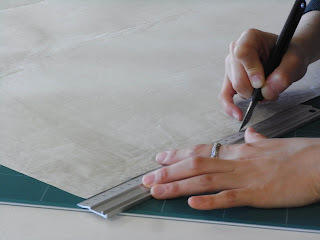 Throughout 2012 LHSA has continued to take in new material for the collections with over 50 accessions amounting to c.80 linear metres added to the Archive. As ever, the new items have ranged from the small (one postcard of the Royal Infirmary of Edinburgh) to the large (77 metres of Bangour Village Hospital case notes). Before an accession is accepted, it must be vetted to ensure that it fits with our collecting policy: “Lothian Health Services Archive primarily collects records of long-term legal, administrative, epidemiological and historical value produced by the NHS within the Lothian area, including those of predecessor bodies. In addition, non-NHS institutional records and personal papers related to the local history of health care and the history of Scottish medicine are also collected”. 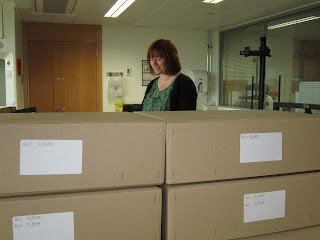 Once the accession has arrived, it is assigned a unique accession number and then goes to the Conservation Studio to be checked for bugs or mould, and re-housed in archival standard boxes, before being transferred to the stores. 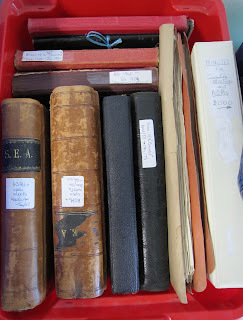 It is then added to our Priority Cataloguing List, to our online list of accessions (available at: http://www.lhsa.lib.ed.ac.uk/collections/Accessions.htm) and catalogued in due course. 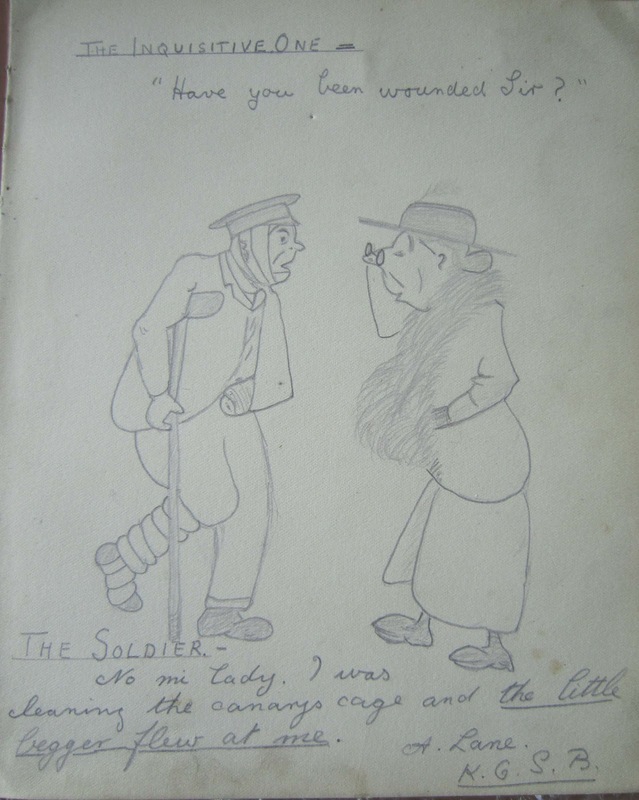 This image is a detail from one of our accessions this year, a page from an "Autographs and Sketches" scrapbook, which is part of Ethel Miller’s nursing papers. 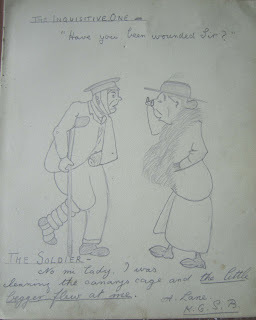 The scrapbook contains drawings and poems by military personnel treated at Craigleith Military Hospital, c.1919. ...my true love sent to me…seven seminars. As part of our outreach and education programme, LHSA provides seminars to groups who are interested in learning more about our collections, and the research possibilities associated with them. In 2012 we’ve continued to provide a seminar series in association with Dr Gayle Davis of the University of Edinburgh’s Economic and Social History Department, entitled ‘History in Practice’, over three sessions. Students are able to get up close to the collection items and discuss issues such as archival appraisal and the reliability of historical sources to challenge ideas of how history is written. 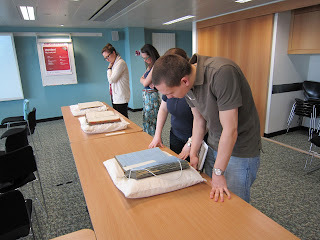 Masters students on two other University of Edinburgh programmes in ‘Working with Collections’ and ‘Medicine and Society in Modern Britain’ were also provided with practical sessions on how to preserve collection items, and how to conduct research in the Archive. Masters students from a nursing course in Germany were also welcomed to LHSA in the autumn to learn about the rich history of medicine collections available in Edinburgh, whilst members of staff from Artlink were treated to a display of material from the Royal Edinburgh Hospital to help focus their research for exhibitions in 2013. In all, about 80 participants have been involved in 2012 and we have bookings in place for 2013 already! 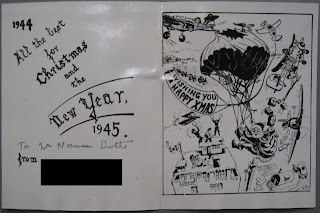 ... my true love sent to me... a Christmas card from six years of pioneering neurosurgery. From 1939 to the end of the Second World War in 1945, Edinburgh neurosurgeon Professor Norman Dott spent six years performing life-saving surgery on military personnel and civilians in Bangour General Hospital near Broxburn, West Lothian. 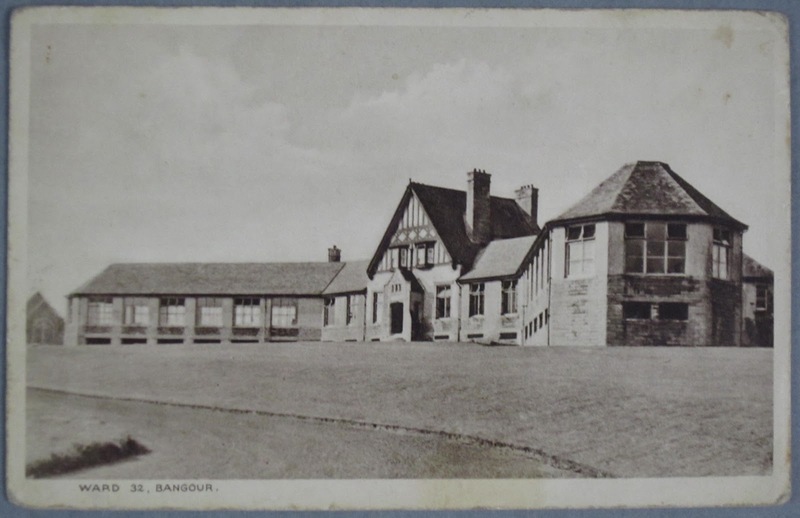 Bangour General was built in 1939 as an Emergency Medical Service hospital (one of seven in Scotland) in response to the outbreak of the war; it was an annexe to the existing Bangour Village Hospital, a psychiatric hospital opened in 1906. Dott was given space for a Brain Injuries Unit in Bangour staffed with two neurosurgical teams – one headed by Dott himself, and the other led by G.L Alexander. In this period, Norman Dott was a member of the wartime Brain Injuries Committee, Consultant in Neurosurgery to the Army in Scotland and Consultant Neurosurgeon to the Emergency Medical Service. He was awarded a C.B.E for this outstanding wartime service in 1948. The records of the unit’s work will be catalogued as part of a current LHSA Wellcome Trust project, and they are some of the most interesting case notes in the Dott collections. Dott’s teams treated serving soldiers, sailors and airmen, women from the auxiliary services and civilians. 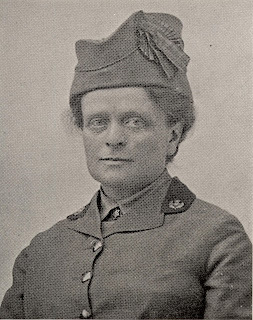 At the start of the war, military patients suffered from injuries sustained in their camps in Scotland (as a result of road accidents in the blackout or mishaps and illnesses during training, for example) – although as the war went on casualties from battlefields in Europe and North Africa were treated in increasing numbers, as well as a considerable number of men from the Polish army and German prisoners of war. Dott undertook ground-breaking procedures during the war years, including an operation to treat aneurysms in the delicate anterior communicating artery of the brain by clamping the more accessible larger vessel that feeds it, avoiding the need for direct and risk-heavy surgery. However, what make these case notes particularly fascinating are the stories of wartime lives that emerge from them, such as the tale of an army officer who was a prisoner of war in northern France, but “managed to get hold of civilian clothes and ducked over a wall between guards…” The officer eventually made it back to Great Britain to re-join his unit – via Cannes, Switzerland, Spain and Portugal! You can find out more about the progress that our Project Archivist Louise is making on the cataloguing of Norman Dott's case notes here. 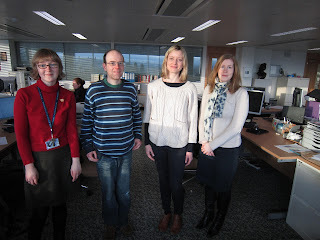 ...my true love sent to me…five archivists. 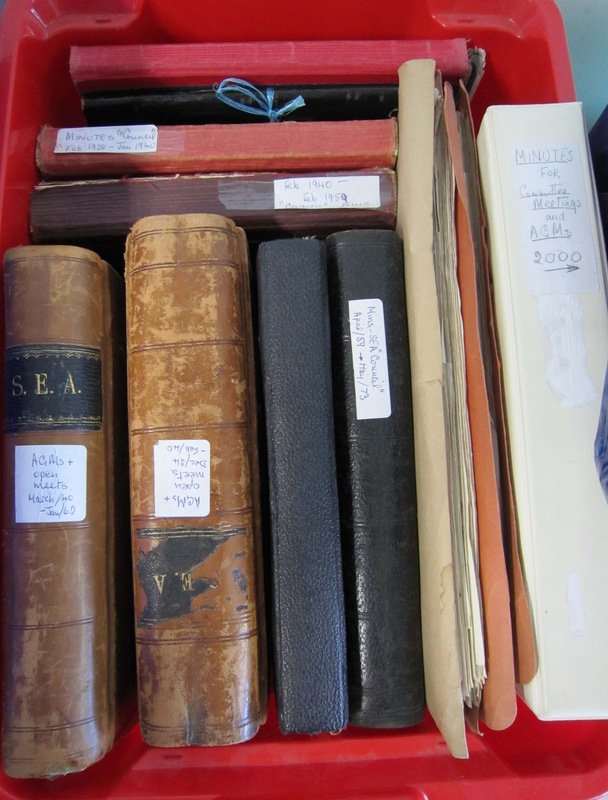 This year has seen some re-structuring in the LHSA service and the appointment of the fifth archivist in LHSA’s (and its predecessor bodies’) history. 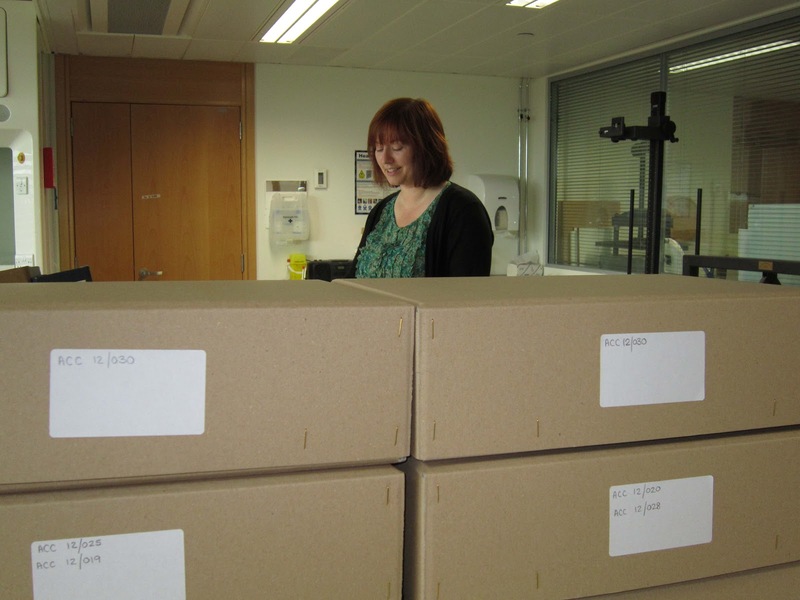 Laura Gould became Archivist in May, after holding the post of Assistant Archivist since 2007. Ruth Honeybone, who had been acting Manager of LHSA since December 2009, assumed this post formally, and Stephen Willis continued to work as Archive Assistant. 2012 also saw a ‘Wellcome’ addition to our staff in the form of Louise Williams, a Project Archivist on a Wellcome Trust-funded 2-year project (but more from Louise in tomorrow’s blog!). The four of us are all qualified to postgraduate level: three specialising in archive, records and information management and an accredited paper conservator. Although we’re a small team, we’re well placed to deliver LHSA’s core services to our present day audience and care for the collection so that it is available for future generations. my true love sent to me...four social media forums. February 2012 saw the creation of a Twitter account to complement the three existing LHSA social media forums (a blog, Facebook and Flickr accounts). The format lends itself to quick updates, with a maximum of 140 characters, and has allowed us to open up our collections and services to an even wider online audience. We’ve picked up over 180 followers in less than 10 months, and enjoyed making links with our users, other archives and libraries, history organisations and those who are just interested in what we have to say! Popular topics have included tweets about our volunteers and their work (also known as ‘Volunteerwatch’! ), images of new accessions as they arrive , and of course the invalid fruit tart which trended on Twitter following its appearance on The Great British Bake Off! Twitter allows us to direct followers to our website, blog, Flickr and Facebook pages, and is a great way to advertise events and projects. It’s also been an opportunity to link with the wider heritage sector: we can publicise events held by other archives to our followers, and through participating in the #archday12 event, in which archives from across the world tweeted using this hashtag, to highlight items from their collections to a global audience. 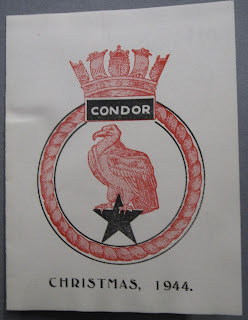 ...my true love sent to me…three reciprocal visits to Lothian council archives. 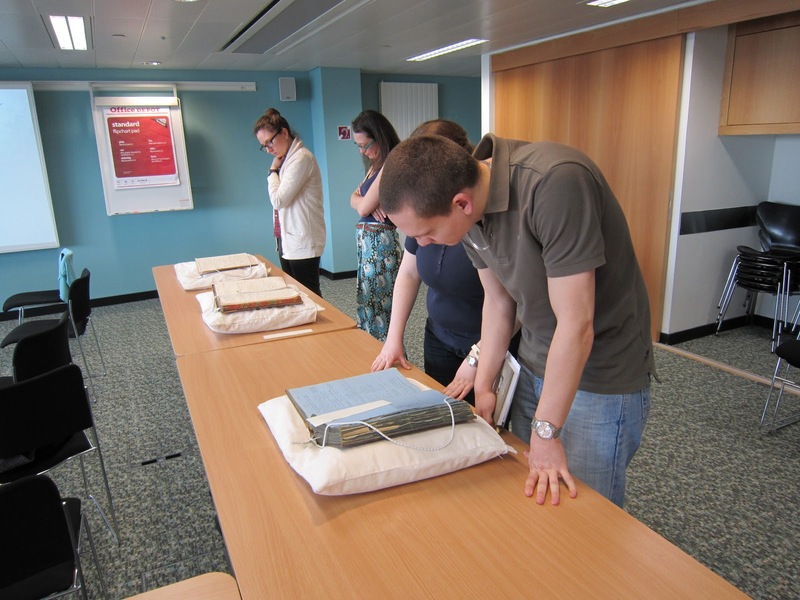 We gained an insight into the exciting resources which are provided in parts of the region such as the new John Gray Centre which contains the East Lothian Archives, opened in March 2012. We also learned how archives employ different work practices regarding records management, and make use of dedicated volunteers to add value to their resources. During our visits we learned about the Council archives’ holdings such as parish records, Poor Law records, court records, school records and cemetery records. LHSA’s medical records form a picture of just one part of people’s lives and it is useful to be aware of other collections which provide details of their lives outside of hospitals, and to be able to direct researchers to them. Those of particular significance are those related to the District Asylums including Rosslynlee and Haddington, and also poorhouse records such as those of Linlithgow Poorhouse, later St Michael’s Hospital. We were delighted to welcome staff from the Council Archives back to LHSA, to provide information about our collections which they can share with their users, and to talk about our working practices. ...my true love sent to me...two centuries of the Royal Edinburgh Hospital. Throughout 2012 we’ve been taking part in the preparations for the Royal Edinburgh Hospital’s bicentenary celebrations. Most of the events are organised for next year, the 200-year anniversary of the first patient admitted to this important hospital, but the eight-part lecture series that we helped put together started in autumn of this year. We’ve had two great lectures so far, one providing context to the building of hospitals like the Royal Edinburgh and the other about sporting activities in the Hospital (and the third, which will look at patient letters, is next Wednesday). The lectures have attracted some media attention and we were able to supplement the articles with anecdotes from the Archive. The series is free and a good opportunity to find out more about the Hospital's fascinating history. For more information please see: http://www.lhsa.lib.ed.ac.uk/home/REHBicentenaryLectureSeries.htm. We also helped Artlink, a charity which aims to provide access to the arts for all members of the community, secure a grant from the Heritage Lottery Fund in late 2012 by contributing to the application process. In 2013 Artlink will lead an exciting bicentenary project called ‘Ever Present Past’, which will also be funded by Creative Scotland. A series of workshops for patients and staff will be held to explore the Hospital’s story – the people and the buildings – which will culminate with an exhibition in the Talbot Rice Gallery to showcase the artistic outputs of those workshops. We’re delighted to be involved, and looking forward to seeing how the Archive collection will be used in new and creative ways through the workshop programme. As well as collaborating with other groups for the bicentenary, we’ve also set up an archive appeal as our own way of celebrating this important anniversary. We’re hoping to add lots of historically important items related to the hospital to the Archive. We need your help, so please have a look at our website to find out more! Our involvement with the Royal Edinburgh Hospital this year hasn’t stopped with the bicentenary. We’ve had visits from staff to find out more about LHSA and to transfer material to the collection, and in August we took part in the fete held at the Hospital. We set up a stall and talked to staff and patients about the history of the Hospital and the services we provide. We’re looking forward to continuing to work with the patients and staff of this hospital, and others in the Lothian region, throughout 2013! Welcome to LHSA’s twelve days of Christmas. 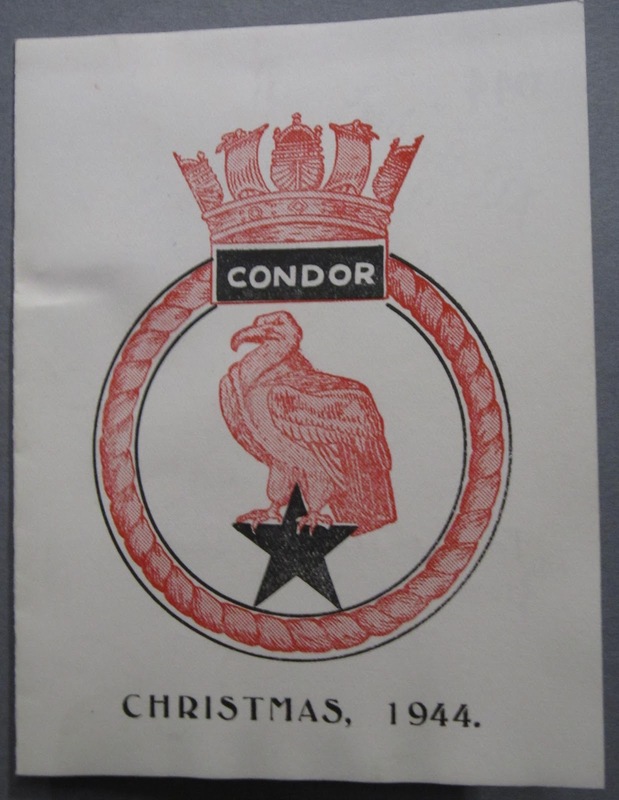 In the countdown to this year’s festive season we’ll be bringing you a new blog post each working day until the 21st, showcasing items from the collections, our core services and some of our activities this year, all with the twelve days of Christmas in mind (although we have taken a few liberties with the original lyrics!). On the first day of Christmas my true love sent to me…one invalid fruit tart. 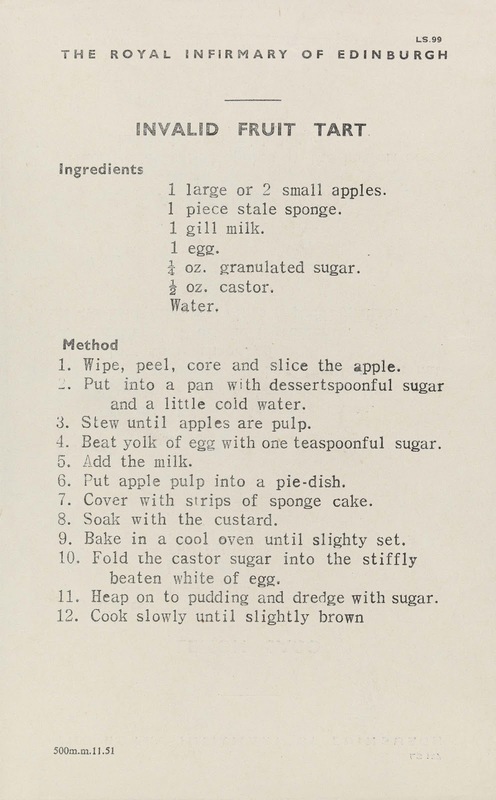 This year, a recipe for invalid fruit tart from LHSA’s Royal Infirmary of Edinburgh collection was a surprise TV and Twitter star. After featuring in the Scottish Council on Archives’ 2011 archives awareness raising campaign 'The Edible Archive', it caught the eye of a BBC production team and was included in ‘The Great British Bake Off’ in August. ‘Invalid fruit tart’ trended on Twitter the evening the show was aired, we saw a spike in visitors to the LHSA website in the days that followed, and we hope to include it in the University’s ‘Masterpieces III’ exhibition in early 2013. We were delighted that the tart’s success meant that we were able to raise our profile and widen our audience, and having tasted the tart at an ‘Edible Archive’ event last year, we can confirm it is as delicious as it is popular! 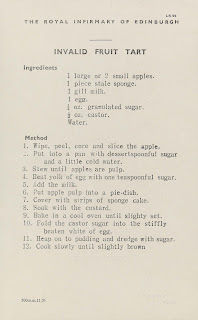 For more information about the recipe and the collection it belongs to please see http://www.lhsa.lib.ed.ac.uk/home/TheGreatBritishBakeOff.htm and the Royal Infirmary of Edinburgh catalogue. To enlarge the image please click on it, and for more recipes from the Royal Infirmary please click here.